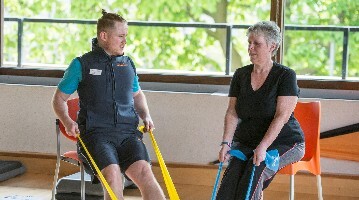 Edinburgh Leisure's Community Access Programme (CAP) supports community groups, organisations and charities to get the people they work with active. By working in partnership, we can help Edinburgh's most vulnerable individuals and communities get active and improve the lives of the people of Edinburgh. CAP provides training for organisations looking to use physical activity as a tool to improve the lives of their service users. Click here to register for our training. CAP provides reduced prices for partner organisations to access Edinburgh Leisure's 14 gyms and 10 swimming pools as well as fitness classes, badminton court and pitch hire. For more information please email active@edinburghleisure.co.uk or call 0131 458 2100.